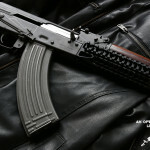 Battle Comp AKBC muzzle is one of the most expensive muzzle brakes on the market for AKM / AK47 rifles. But is it worth the money? 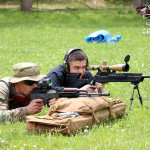 Can this brake really deliver superior performance with muzzle rise control and at the same time produce small muzzle flash? Watch this Battle Comp AKBC for AKM / AK47 muzzle brake review to see how this brake did perform in our review. 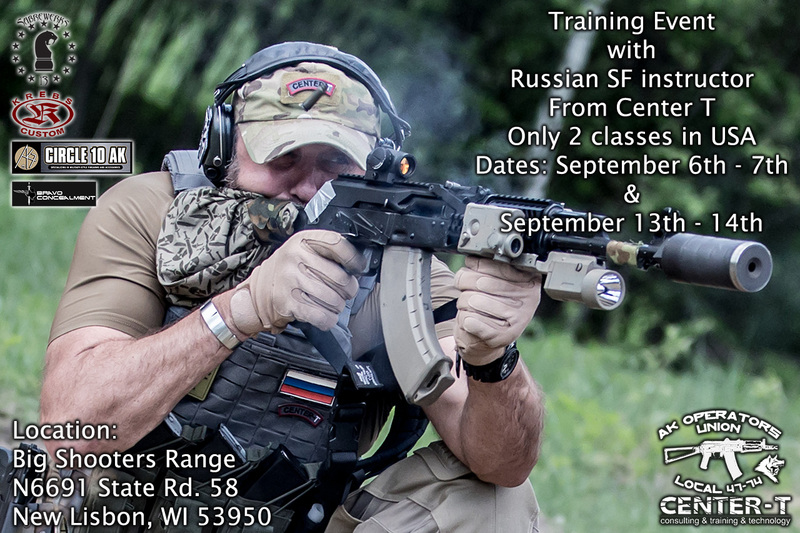 Price for the class: $570 + $50 in range fees (range fees paid in cash on day of event). Order from HERE. Each event is 2 days class. 500 rounds per day for rifle and 150 rounds per day for pistol. Ps. Big Thanks to Paul Minder and his wife for organizing this event. Also, thanks to everyone for coming and supporting us! 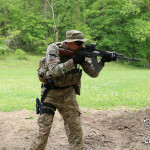 How to setup your rig (plate carrier)? You were asking me for it many times, finally I had a time to do this video for you. I’m currently using Mayflower Plate Carrier and High Speed Gear Taco pouches on it. Please remember that what works for me, may not work for you at all. I strongly suggest, to try your own setups – wear it at home first, have it on you for at least 5-8 hours – this will give you a good feeling how the whole rig sits on you and if everything is exactly where it should be. Then of course go to the range and start using it in the field. Always be open to adjustments and modifications. 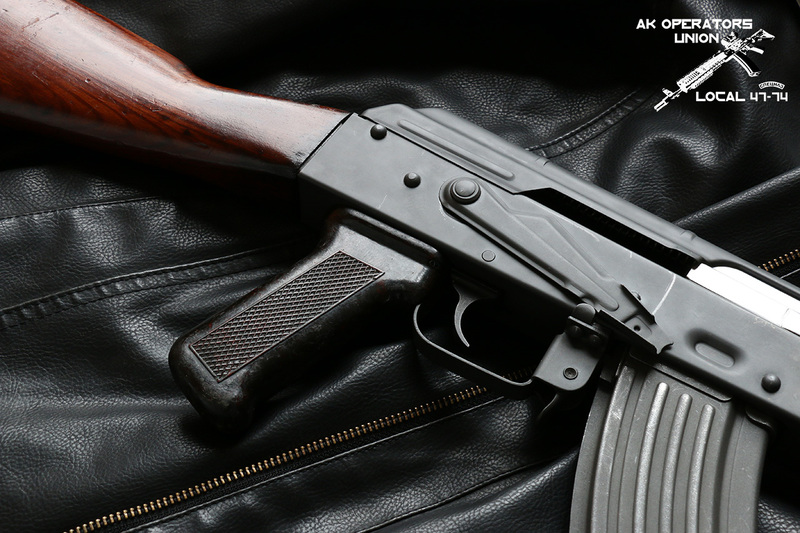 How to lubricate your AKM (AK47) and AK74 rifles. 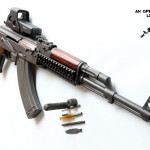 Very often i’m being asked how to lubricate your AKM (AK47) and AK74 rifles? Fortunately, by design, this is extremely simple to maintain rifle and lubrication process is brisk and it is almost equals a pleasure after the cleaning routine. 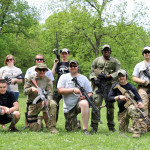 Let me note here, that here in US our shooting community is obsessed with over cleaning firearms. In reality, rifle like AK, doesn’t really have to be clean more often than every 1000 rounds, unless you were using corrosive ammo. Then you should clean your weapon ASAP to prevent rust from developing. This is especially true in humid climate. But going back to our lubrication process, here is short video overview of the subject with quick take on different lubricants commercially available on our market. Please let me know if you have any questions. Thanks. Q: Marc, tell us a little about what’s new at Krebs Custom? A: We’ve been gearing up for production. Demand has been very high. It’s gotten to the point where you can read about our guns but you can’t own them. We want to make it so people can own them! So we’re concentrating on making sure that we can keep up with sales. We’ve decided to go through distributors instead of selling direct. We’re selling now through Copper Custom Armament (which is a company that Tim Harmsen of Military Arms Channel is associated with), Circle10 AK and Atlantic Firearms. Having other entities take care of this end of the business will better allow our shop to concentrate on making the rifle. This will free up our guys to concentrate on inventory and other activities such as tech support. (We will be available to return phone calls for these kinds of questions from 2 – 3.30 pm Central time). Ideally we want to produce more rifles to bring down the cost a bit. We’re doing time studies to determine how long it takes to produce the rifles. A: Yes, we solely use the VEPR for that model. It’s got a more stable barrel because of the diameter. They are more accurate than the Saiga. 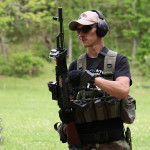 Q: What exactly are the differences between the VEPR and the Saiga? 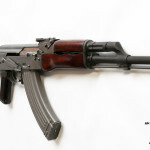 A: The VEPR is a heavier gun than the Saiga. It’s based on the RPK, a light machine gun. The receiver is thicker and it has beefier locking lugs. The bull barrel is more accurate at long distances. Q: What about interchangeability between the two models? A: As far as internals go, the triggers will fit, the bolts and carriers will fit. (You always need to check headspace on a new bolt and the best way to do that is with a headspace gauge). Pistol grips are interchangeable. Buttstocks aren’t interchangeable. Q: What about magazines? Will AK magazines interchange with a VEPR? 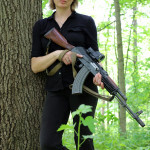 A: The VEPR and AK mags are not interchangeable. 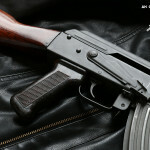 Q: What about changing out a buttstock on a VEPR? You’ve got options such as a fixed buttstock, a folder, a collapsible, or a folder/collapsible combo. A: Yes, you can get all of those. The collapsible buttstock has the most latitude when it comes to adjustability. The folders wiggle a tiny bit and perhaps that may impact accuracy. That said, we’ve had pretty good groups on our KV-13 which is a folder. Q: How would you mount a collapsible buttstock on a VEPR? A: OK, well if you want to put a collapsible buttstock on there, say a Vltor, you’re going to need a long or short adapter block which screws on to the back of the receiver. You also need a “pig nose” which screws into the adapter (two screws). It’s a threaded cup that allows you to screw in the buffer tube. Once that’s in place you can then screw in the buffer tube and add the buttstock. If you want to combine a folder and a collapsible, which is what we use on our KV-13, you can add the ACE folding system. We think it’s the best out there. 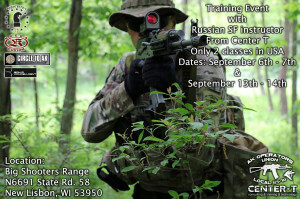 We use the left hand folder, a milspec buffer tube and a Magpul CTR buttstock. 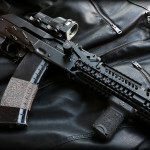 Krebs makes a special keymod handguard exclusively for the VEPR. This is mounted on his new KV-13 model. Q: What products do you sell that will fit a VEPR? A: First off, we sell a long rear adapter block which means you can use the tang. It’s cut out for a screw so that you put in the scope mount. You can’t have the scope mount on it without the tang. You can attach whatever type of stock you want to that. That works with the ACE pattern folder. We also sell a short rear adapter block. With the short one you have to cut off the rear tang. That’s what we put on our KV-13s. The other issue is that some people don’t want to cut off their tangs. However, if they are into custom work they will buy the “shorty”. If they want to extend their stock and not fuss around with cutting metal they can just screw in our longer block. We sell wide notch rear sights and peep sights that fit to the rear sight support. 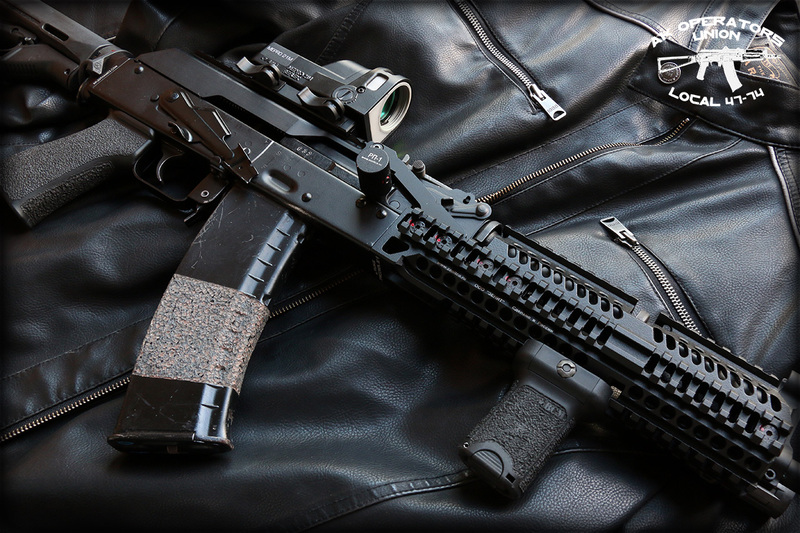 We also offer the Krebs Custom AK Rear Sight Rail System sight with a peep sight. 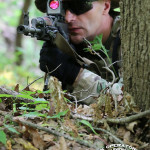 That will increase the sight radius dramatically. 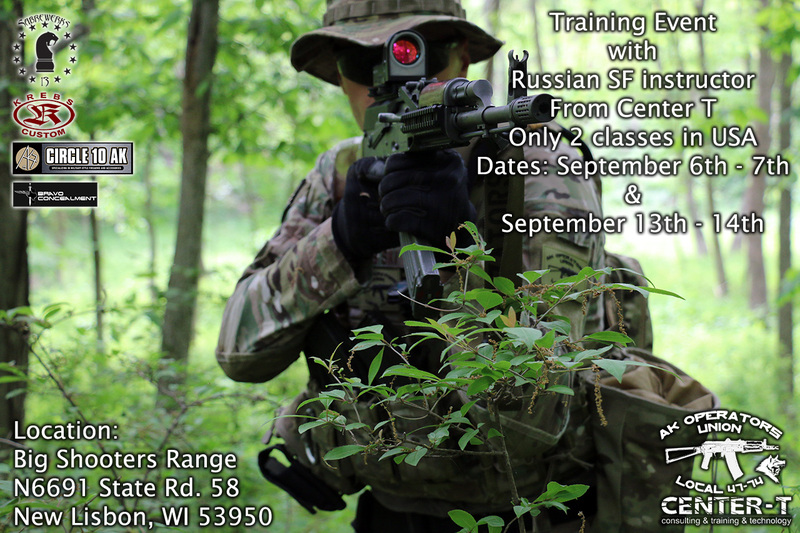 We sell a UFM forearm that fits a VEPR. We also sell a handguard that is the only field strippable, one available in keymod configuration. Our safety fits a VEPR as do our trigger parts. We rework the triggers on the VEPR and we also sell the G2 triggers from Tapco. We polish them up and rework the geometry. The Flash Hider is another item we sell. Q: Any products for a VEPR that you recommend other than your own? A: I think ACE makes a really nice internal receiver block. 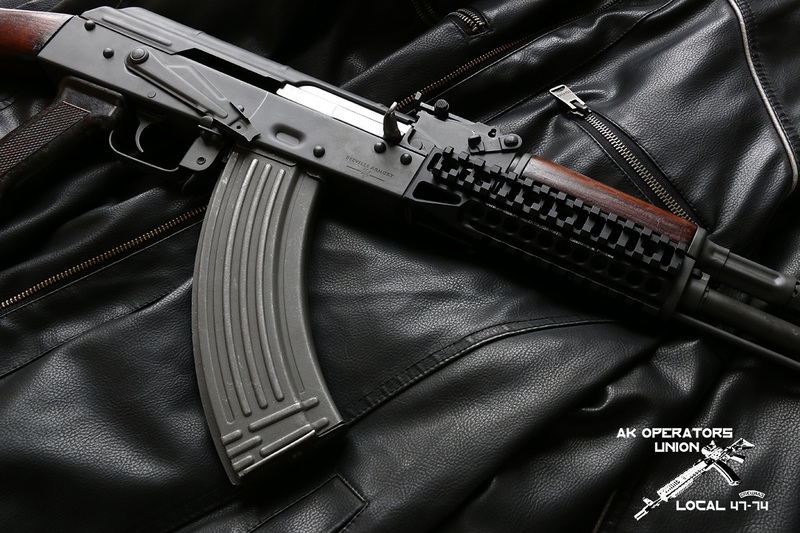 We like the Magpul grips for the AK or VEPR. That’s what we’re using. 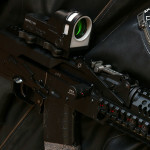 As I mentioned earlier we like the Tapco G2 triggers and the RS Scope Mount. We think it’s a great product. We have new working tool to our disposition, this time we have scored Polish AKM 47, build from parts kit from 1967 by our good friends at Beeville Armory. 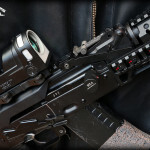 This AK47 clone, will enable us to test even more AK related equipment in the future. 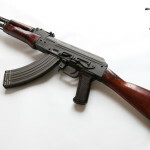 We have asked guys from Beeville to make this rifle as AK accessories friendly as possible. They even installed for us side rail so we can keep checking different side rail mounts for you within AKM family. Beeville crew did an outstanding job and quality of their work is second to none. As a matter of fact, this Polish AKM looks so good, that I almost had no heart to designate this rifle as Union “work rifle” and i was tempted to keep it as my personal rifle. Unfortunately, I was quickly reminded by Mrs Ski, why we bought this rifle and what his designation should be. Life is brutal, but I’m honestly impressed with quality of work done by Beeville Armory and I have no doubt, that this AKM will serve us well and long!